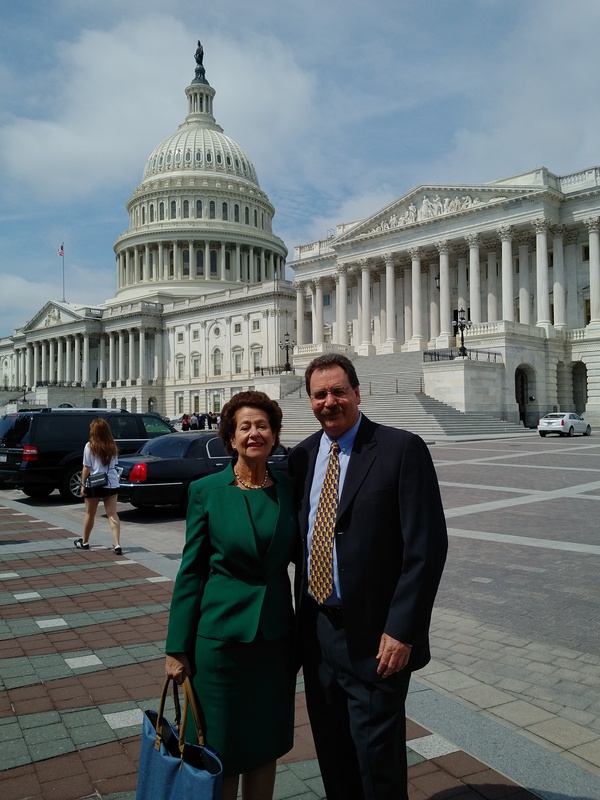 Several Port Everglades Association Board members participated in a Washington “Fly-In” June 12-15 that was organized by the Port Everglades Action Team of the Broward Alliance. Our association presence was led by PEA Vice President Rich Vogel, who has been part of past such fly-ins. Other PEA participants included Ben Wesley of FPL, Robert Toney of National Maritime Services, Bob Ledoux and Sandy Kelley of FEC Railway and Port Everglades harbor pilot Capt. Sam Stephenson (who serves as president of the Florida Pilots Association), and PEA Executive Director Lori Baer. The overall PEAT delegation, in addition to the above, included Broward County Commissioner Chip LaMarca, Broward Alliance Executive Director Bob Swindell, Peg Buchan representing Port Everglades and two members of the Broward County government affairs staff. The event kicked off with an organizational dinner Tuesday evening that was attended by our friend U.S. Rep. Ted Deutch. Wednesday was the ambitious “walk the halls” day, with meetings held in offices of Sen. Bill Nelson, Sen. Marco Rubio, Rep. Debbie Wasserman Shultz, Rep. Lois Frankel, Rep. Mario Díaz-Balart, Rep. Frederica Wilson, Rep. Brian Mast, Rep. John Rutherford and Rep. Daniel Webster, all of Florida, as well as some legislators from outside Florida who serve on crucial committees, plus staff members of key Senate and House committees that deal with transportation and water resources issues. We were able to present strong cases for advancement of PEA priorities, led by a “discreet project” to relocate the U.S. Coast Guard Station so as to relieve blockage at the Port Everglades knuckle, and assignment to Port Everglades of additional U.S. Customs and Border Protection agents so as to make clearances of cruise passengers and perishable cargos all the more swift and efficient. Each member of the delegation from PEA had a speaking role in each meeting. 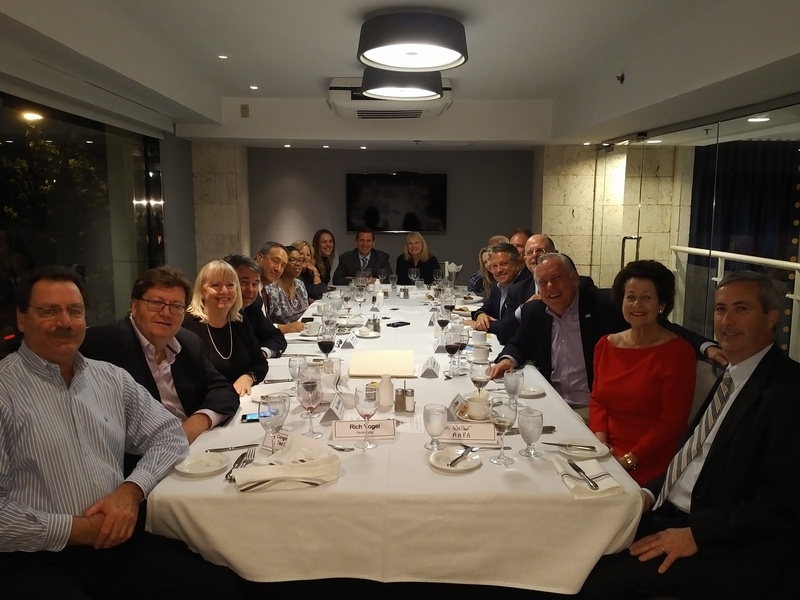 A second dinner attended by several members of the delegation on Wednesday evening had a very special guest – Lauren Brand, associate administrator for intermodal system development at the U.S. Maritime Administration. Lauren shared some keen insights and helpful advice regarding ways Port Everglades and Broward County can optimize their image in Washington. Lauren also assembled her key senior staff directors for an in-office meeting Thursday morning with Rich, Sam and Gail. We have returned from Washington highly enthused, confident that our presence was extremely meaningful, with strong prospects for yielding both short- and long-term benefits.